We pride ourselves in offering customers outstanding service and a friendly atmosphere to customers by giving them first-class service at modest rates. Our technicians are ASE Certified Master Technicians with extensive knowledge of BMW and Mercedes Benz so you can rest assure that your car is in safe hands. Below is a list of maintenance and repair services that we provide for our customers at a very reasonable cost. Check out our special internet offers to for great saving on your next maintenance or repair by clicking here. We Offer Towing Service, Free Shuttle and Car Rental Service. Our goal is to provide excellent customer service and quality work to our clients by offering a variety of important maintenance and repair services in a one-stop shop. 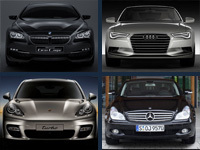 Below you will find a list of services that we offer for your Car. I know star tech very well .thay are most trusted auto repair . Best service in san clement south Orange county. They know their cars and provide excellent service. They have even taken care of non specialty cars for me and did a wonderful job. Very honest and friendly. My family referred me to these guys and I was very happy with their service. I will definitely be a repeat customer! Thanks again.